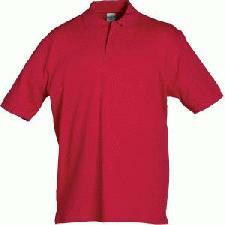 Help your business details be on top of everyones list by advertising on our Company Embroidered Polo Shirts. Our Company Embroidered Polo Shirts come in many styles and colours and will all reach you ready embroidered with your business details and company logo to help you stay promoted. So either have your staff wear them for that professional look or give them away as a promotional gift and let the advert do the talking. To find out more about our Company Embroidered Polo Shirts click here and fill in the contact form and we'll get straight back to you. Other promotional and personalised items besides our Company Embroidered Polo Shirts click here.